The Stafford County Sheriff's office has released a photo of a unique tattoo found on a body discovered in a wooded area of Fredericksburg in hopes that someone can help identify the slain man. 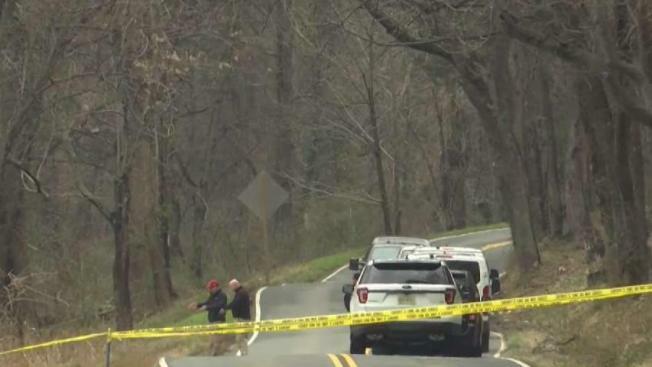 A sheriff's deputy discovered early Saturday morning the body of a man off River Road near Route 3, in a wooded area near the Rappahannock River. There were signs of trauma to the body, police say. His death is under investigation as a homicide. Police released a photo of a unique tattoo on the man's arm. It shows a woman "shushing" with her finger over her lips, a blindfold over her eyes and ears with a design featuring Roman numerals, police say. The tattoo could be referencing the adage, "hear no evil, see no evil, speak no evil," police say. Some readers may find this photo disturbing. The Stafford County Sherriff's office has released a photo in hopes that someone can help identify a slain man found in a wooded area of Fredericksburg. The photo shows a tattoo on the man's forearm depicting a woman. The police non-emergency number is 540-658-4450. Aside from the tattoo, police refused to release any identifying details about the victim pending notification of family.